Beyond Fit Pilates, in Grayhawk of North Scottsdale, provides a unique, intimate environment ideal for centering and breath. Private and semi-private sessions are truly private, with personal instruction and attention to every detail for all students. The Beyond Fit studio is warm with natural light but cool with good air movement, including the option of opening the doors when the Arizona weather becomes too beautiful to completely stay inside. Music is usually playing, the genre geared toward the personality and mood of the student currently in the room. There are two of everything Pilates plus choices for additional fitness work — dumbbells, stability balls, bands, foam rollers, and TRX. Beyond Fit is a neighborhood style, family oriented business. Children are welcome while you practice your Pilates, to play quietly on the floor mat, or at the playground across the street. Some brave-hearted children have actually joined their parents and grandparents in the work! They are kept safe and sound with eyes-on, age-appropriate instruction and tactile assistance. Whatever your personal needs, Beyond Fit tries to accommodate. Cindy has made it her life’s work to help bodies that hurt to function and feel better, to gently progress the very beginner into a competent, confident pilates student, and to challenge the most elite athlete to fine tune their fitness, balance, flexibility, and injury prevention. Being a long time competitive athlete herself, she has experienced the many injuries that come with pushing the body, as well as the joys of the aging process. From this experience, Cindy has developed a true compassion for the unique conditions and goals that each student presents to her and she has the training to work with them. 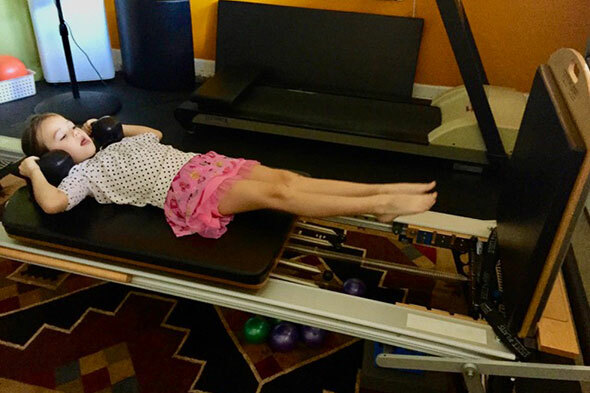 Behind the Pilates movement, there is a science, system, and psychology, all of which Cindy is a perpetual student. She instills newly acquired information regularly into her sessions, keeping the work fresh, intellectually stimulating, and even more effective. Cindy earned her first fitness training certification, the American Council on Exercise, in 1998. 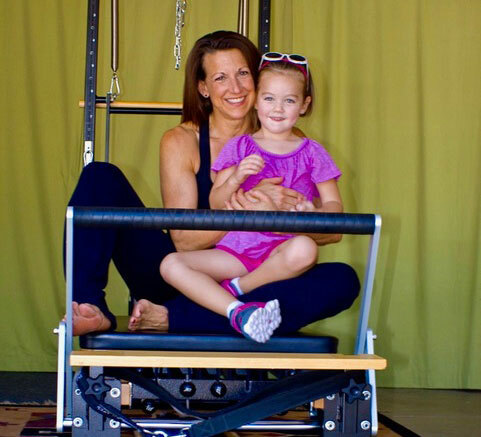 In 2010, Cindy became a certified STOTT PILATES™ instructor. 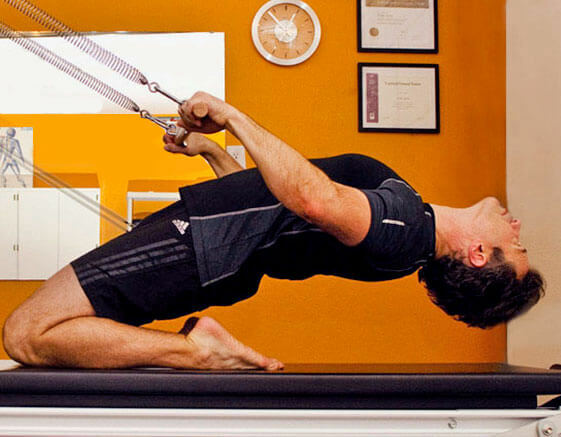 She chose STOTT PILATES for the depth and intelligence of this contemporary Pilates style. 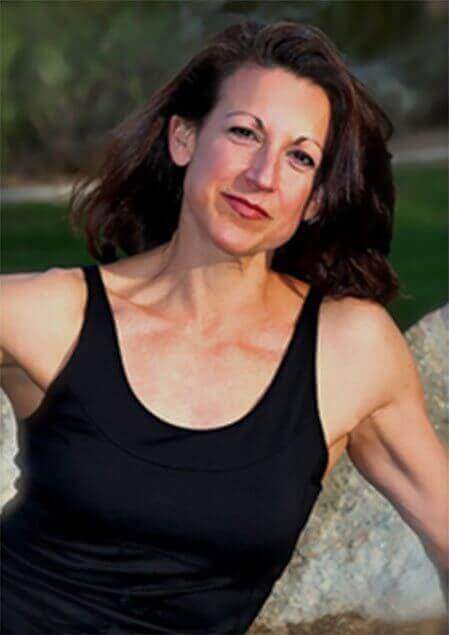 Cindy teaches Pilates private and semi-private equipment sessions at all levels, including injuries and special conditions, as well as group mat classes. Additionally, Cindy offers a STOTT PILATES™ brand of pilates/yoga fusion called Zenga. She frequently holds Zenga workshops and will sprinkle Zenga into many of her regular classes for extra stretch and variety. 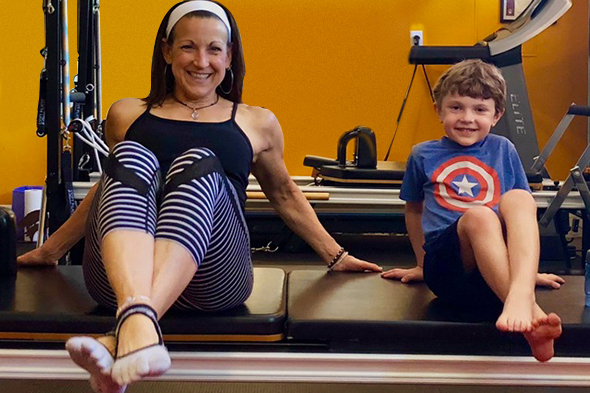 Cindy’s favorite part of teaching Pilates is watching her students progress into solid, confident pilates bodies who have fun challenging themselves just a little bit more in every session. Along with being an athlete, Cindy is an artist, professional writer, musician, nature lover, and the proud parent of two teenage boys who have helped her to practice the great life lessons of listening, empathy, and patience. She contributes these years of practice to making her a better instructor and a better person. Schedule Your Complimentary Session and Body Assessment with Cindy at Your Convenience.